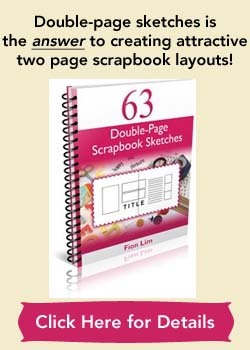 Are you a beginner wanting some free scrapbooking layouts to help you get started? 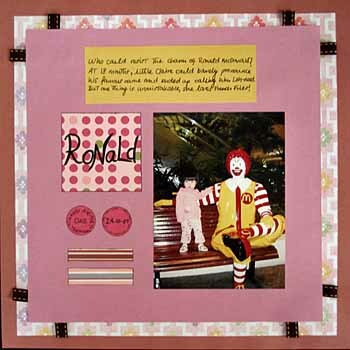 Just take a look at a few of my scrapbook layouts and you’ll see that you can scrapbook too. You see, I picked up scrapbooking in January 2005 and I’ve been scrapbooking for two years. Not consistently though. Usually as and when inspiration struck me. I scrapbook randomly. In fact, for two years I only completed just over 50 layouts! I know, I know, that’s not many layouts and quite slow progress. But that’s because I spent more time building up my websites than I spent time scrapbooking. I only scrapbook when I can squeeze out free time to do it. 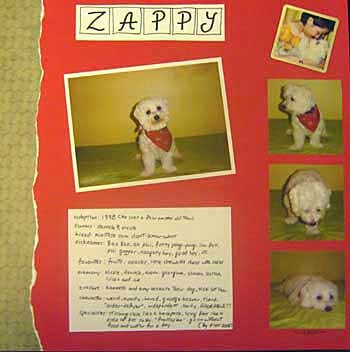 For the longest time, I didn’t put up any of my scrapbook layouts on this site even though it’s a scrapping website! Oops… And I have a load of excuses for not displaying my layouts too, such as my layouts weren’t good enough… I’m not that creative… I value my privacy more. The truth is, I want to hide behind a screen of anonymity. I can always showcase others’ more attractive layouts. You might want to see that a real person created this site. Someone who’s a scrapbooker herself. Plus you can see that if I can scrapbook, you can too. Why do I say that? 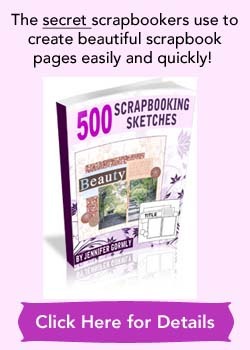 Because if I’m a simple scrapbooker, an ordinary scrapbooker, if I can scrapbook, you can too! 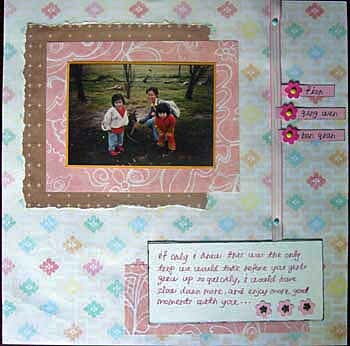 By displaying my layouts here for you to see, I hope that my efforts will inspire you to scrapbook. 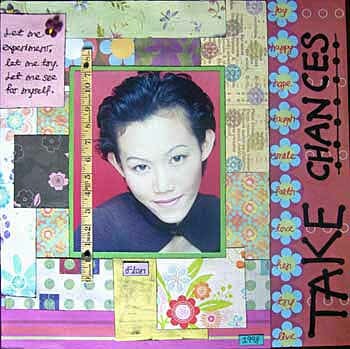 You don’t have to be very creative to scrapbook. There’s many ordinary women like me who just scrapbook away and in the process discovered that we too can be rather creative, and that scrapbooking provides us an outlet for expressing that little creativity we have within us. 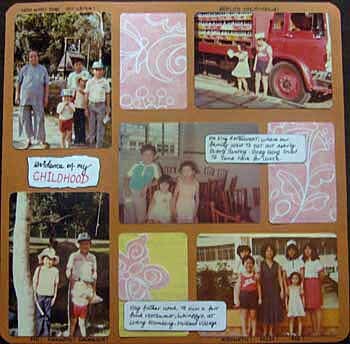 Scrapbooking isn’t about being talented, it’s about creating memories for yourself. It’s about documenting stories that mean something to you. It’s not about impressing others with super-creativity. At least that’s not the prime reason. But of course if you’re talented and highly creative, that’s wonderful! Take a peek at my layouts! If you’ll like to see more of my layouts, feel free to check out my vacation layouts! You can also look at my digital layouts here. I hope you’ll start scrapping and have loads of fun! For scrapbooking projects, I tend to like using adhesive tapes as they hold well and won’t be messy like glues sometimes can be. You can take a look at this range of tape adhesives and you’ll be able to see some of the most popular types of adhesives scrapbookers like to use on their project, such as E-Z Runner, Tombow Mono, and Scotch CAT. Hope this help! It’s very nice, I like it.